*Obvious statements are obvious but the “Late Movie Review” series will be films that are no longer in theaters that I just didn’t get around to seeing at the time. Plot: Several years after the events of Jurassic World, a newly active volcano now threatens to destroy all the dinosaurs on Isla Nublar. When John Hammond’s former partner Benjamin Lockwood (James Cromwell) discovers the imminent threat, he convinces former Jurassic World operations manager, now dinosaur rights activist Claire Dearing (Bryce Dallas Howard), to mount an expedition and save Isla Nublar’s remaining dinos. Along with ex-velociraptor handler Owen Grady (Chris Pratt) a select group travel to the island only to discover that there’s more to this rescue mission than they suspected. 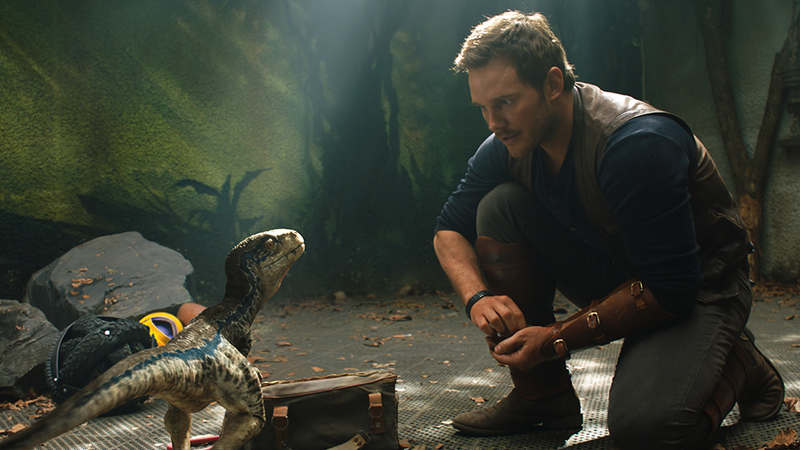 Review: When Jurassic World came out in 2015 it broke box office records and reinvigorated a dead franchise. While not Earth shattering in terms of originality, it managed to be an exciting romp that never failed to entertain. Not surprisingly a new trilogy was quickly announced and before long steps were taken on the second entry Jurassic World: Fallen Kingdom. Like many I was excited to see what new direction the film would take and when talented filmmaker J.A. Bayona (A Monster Calls, The Impossible) was brought in my expectations went through the roof. Sadly, Jurassic World: Fallen Kingdom proves to be an abysmal failure of dinosaur sized proportions. Uninspired, tepid, and utterly lacking in nuance or originality, Bayona’s film fails to recapture the joy and wonder of the original or fulfill the promise of its predecessor. While Bayona’s direction is competent, the film often descends into mediocrity. The director seems unable to create any sense of real tension or danger. 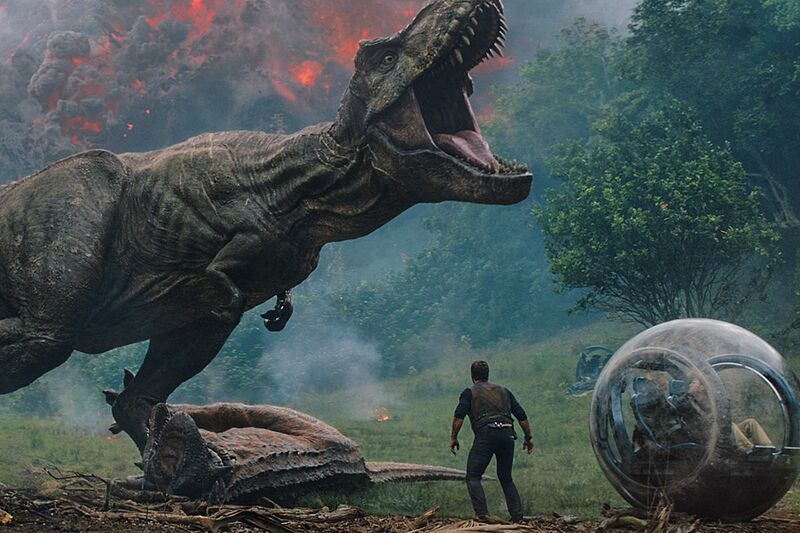 The Indoraptor scenes (a new genetically created dinosaur) feel like a “been-there-done-that” retread of the raptor scenes from Jurassic Park sans the terror factor. In addition, the lighting in some of these scenes is so dark, it’s reminiscent of AVP: Requiem, a comparison I never thought I’d draw. One wonders if the people behind this film were trying to hide something. 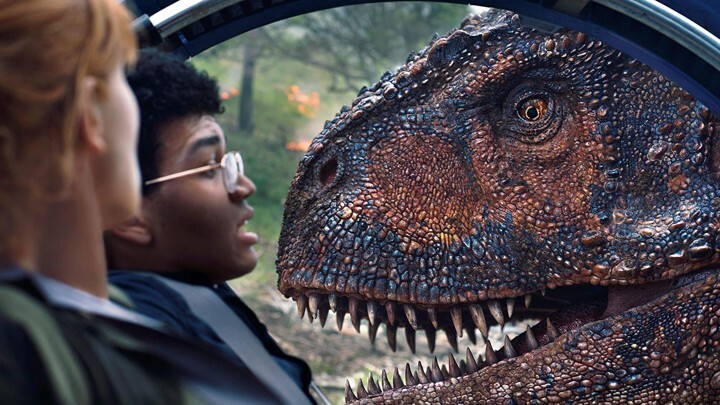 Bayona is a much better director than Jurassic World: Fallen Kingdom suggests, and Derek Connolly and Colin Trevorrow’s terrible script does him no favors. I can forgive a lot when it comes to story, but what I can’t forgive is when a script goes out of its way to insult my intelligence. There’s so many things that don’t make sense in this film. Through the course of the movie we discover that the plan, orchestrated by Lockwood’s nefarious assistant Ellis Mills (Rafe Spall), was not to preserve the dinosaurs but to sell them to the wealthy for military and personal purposes. Yet the minimum bid for these creatures is $4 million? What? That’s ridiculously low. In addition, the Indoraptor is supposed to be a lethal killing machine that can be weaponized, yet the only way to get it to attack is if you have a laser targeted on the victim. Moreover, there’s a subplot involving Lockwood’s granddaughter Maisie (Isabella Sermon) with a twist that Mr. Magoo could see coming from a mile away. One positive aspect of Fallen Kingdom‘s script is that it poses an interesting question. With the dinosaurs about to become extinct again, is it humanity’s responsibility to save them? Unfortunately, Fallen Kingdom fails to approach this idea in a manner that is any way nuanced or compelling. Instead the script decides to do an almost beat for beat remake of The Lost World: Jurassic Park. I don’t know if the producers were hoping the audience wouldn’t notice or just assumed we were stupid. Well I’m not stupid and I did notice. Not surprisingly, virtually none of the actors are able to elevate themselves above this tepid script. Chris Pratt continues to be…well…Chris Pratt. His Owen Grady possesses no depth and has not evolved as a character. Ditto Howard’s Claire. The reason and passion behind her choice to become a dinosaur rights advocate never gets explored and her character comes off somehow more vanilla than in the last film. James Cromwell also can’t seem to decide if he wants a British accent or not as it fluctuates from scene to scene. Spall feels like a decidedly stereotypical underling that does everything but twirl his mustache. He’s a terrible and impotent villain. Sermon’s character Maisie proves to be the best of the bunch with her performance being more in line with Ariana Richards’ Lex Murphy from the original film. Jeff Goldblum also fares well, reprising his role as chaos mathematician Ian Malcolm, however if you’re expecting him to have a major part, you’ll be deeply disappointed as it amounts to nothing more than a cameo. I will say this: the dinosaurs have never looked better on screen. The CGI in the twenty-five years or so since Jurassic Park came out have improved considerably. At times it felt like Oscar Faura’s camerawork was capturing real-life dinosaurs. The destruction of Isla Nublar by the volcano and the subsequent escape by Owen and Claire’s group proves to be the most harrowing and entertaining part of the whole film. It’s just a shame that the audience is forced to endure another hour of dull, uninspired story. Like it or not, the fact of the matter is that Jurassic World: Fallen Kingdom made a considerable ($1.309 billion globally) amount of money at the box office. So anyone who was hoping this franchise would end with Bayona’s latest installment are sorely mistaken. A third and final (?) installment is set to be released June 11, 2021. Hopefully, the people behind the upcoming film will deliver something significantly better than this mind-numbing dreck.